With the holiday season under wraps, the new year is around the corner. It’s that time of year where many of us set new year resolutions. Stats show that those who make a new year’s resolution are more likely to achieve it than those who chose not make resolutions. Resolutions include changing a trait or behaviour, accomplishing a personal goal, or ultimately improving your life is some shape or form. Common new year’s resolutions include; joining a gym, thinking more positively, laughing more, getting out of debt, saving money, purchasing investments, progressing in current career, getting a new career, getting better grades, additional education, spending more time with friends and family, volunteering more and giving to charity etc. While these are all great new years resolutions, they’ve been done before! 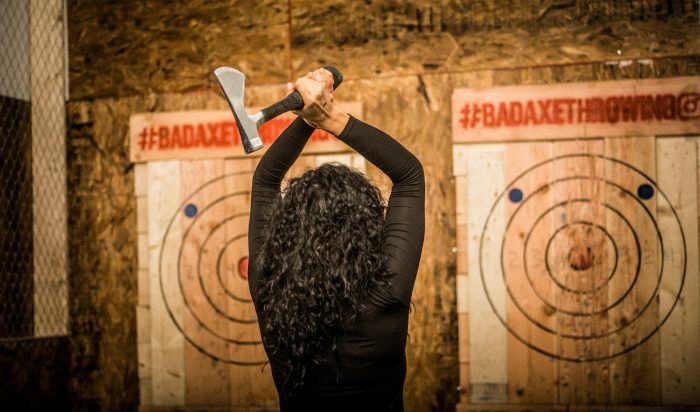 This new year’s resolution should include joining an axe throwing league! 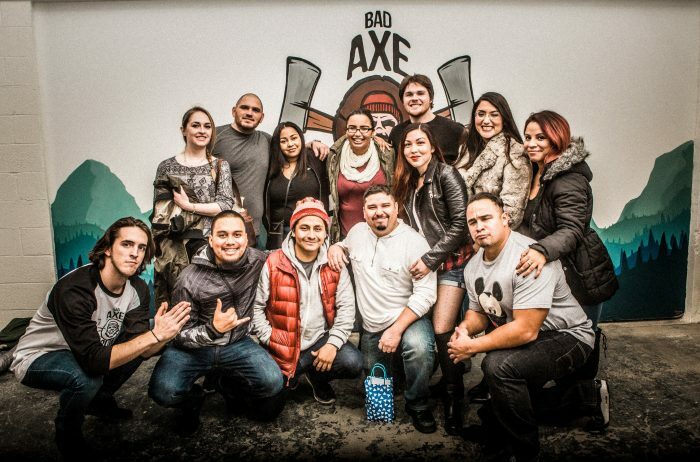 We at Bad Axe Throwing offer an 8 week axe throwing league for only $15/week. Each week consists of 2 hours typically on a Monday or Tuesday evening at 7pm. We supply all the axe throwing materials, you just need to show up and throw! For the first 7 weeks everyone will get at least 40 competitive throws per night. Your score for each throw will be tallied and recorded. This means, it doesn’t matter who your throwing against, but rather trying to obtain the highest points scored. At the end of the 8 weeks, top scoring players will compete in a tournament to crown the two best urban axe throwers for that particular location. Finalists will be eligible to complete in the World Axe Throwing League. So this year, add something new, exciting and thrilling to your new years resolution list and join an axe throwing league! No previous skills or requirements are needed. Leagues start either Monday January 15th or Tuesday January 16th! Sign up for your axe throwing league today!